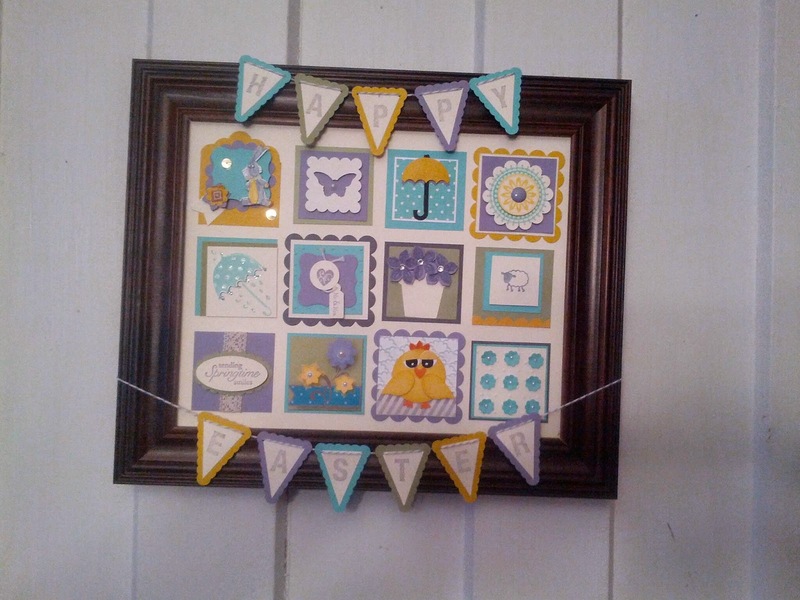 I love all the squares I got this month in the Wall Art swap I'm in with other Stampin'Up! Demos. We all design one square using a set color pallet and then make enough for all the swap members. I added the banner to my frame.